Home > Bridesmaid Candles - Thank You Candles - 55 Designs! Our Bridesmaid Candles - Thank You Candles make wonderful Bridesmaid gifts or Thank You gifts for anyone in your wedding party, including your parents! They also make great gifts for any occasion because they can be personalized with your own special message! Most of our Bridesmaid Candles - Thank You Candles are personalized and decorated with real flowers, leaves, seashells or 11 Swarovski crystal colors! Our Personalized Photo Candles of your wedding party also make wonderful gifts! Now is the time to also give your friends and parents a small token of your appreciation for all they've done for you! This lets them know how much you appreciate them being there for you on your special day! Our candles make a wonderful way to recognize what strong appreciation you have for your girlfriends and other members of your wedding party for them being there for you. Your bridesmaids are your best friends and they are a true blessing to you. 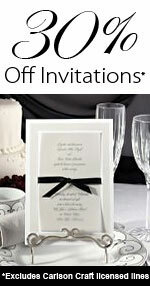 Wording can be changed to Maid of Honor, Matron of Honor, or your own personal message from the heart! Give gifts that will be appreciated and fondly received. They will remember a personalized gift forever! Our Bridesmaid Candles - Thank You candles are available in 55 beautiful designs! being the best soccer coach!